I love dogs. I grew up with several, especially when we lived in the country. We had two beagle-basset mixes named Copper and Todd, and later, a lab mix named Jessie. Copper was a goofy, cuddly boy, while Todd was a shorter, grumpier version who nevertheless kept us in his sights while he surveyed the scene for danger. Jessie was a curious, sweet dog we were given on my birthday (she was found on the side of the road as a tiny puppy). Later in life, my husband and I adopted a small hound mix named Parker, who refused to wear clothing unless it was freezing outside. Then she wouldn’t go outside until she was wearing her Santa suit. Now we have a three-year old Sheltie named Ransom. Since he sheds quite a bit at certain times of the year, we like to keep him groomed and his fur short. Of course this isn’t a big deal in Colorado until the winter time. It has been supremely chilly lately and we’ve made sure Ransom is inside during the coldest days and nights. I’ve been contemplating giving him a sweater to keep him warmer during the day while he’s outside barking at the mailman or chasing squirrels. I ran across this darling “Juno Jumper” from Alice Neal and thought it would be the perfect sweater for a small or medium-sized dog. It’s cute, cozy, and not too complicated. 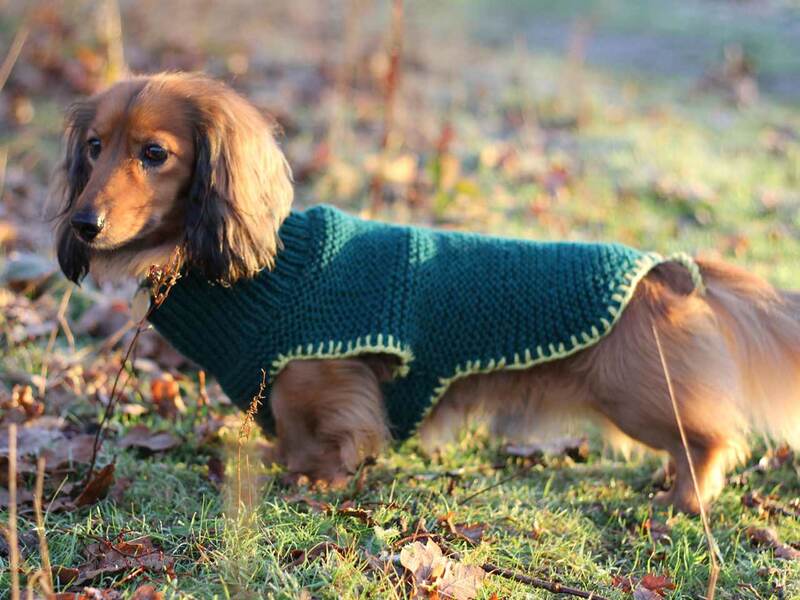 You’ll need about 100 grams of chunky yarn (the pattern recommends using something like Debbie Bliss Rialto Chunky, and there’s also a link to the same yarn with a sizing guideline if you need to make the sweater a bit bigger or smaller for your furbaby. 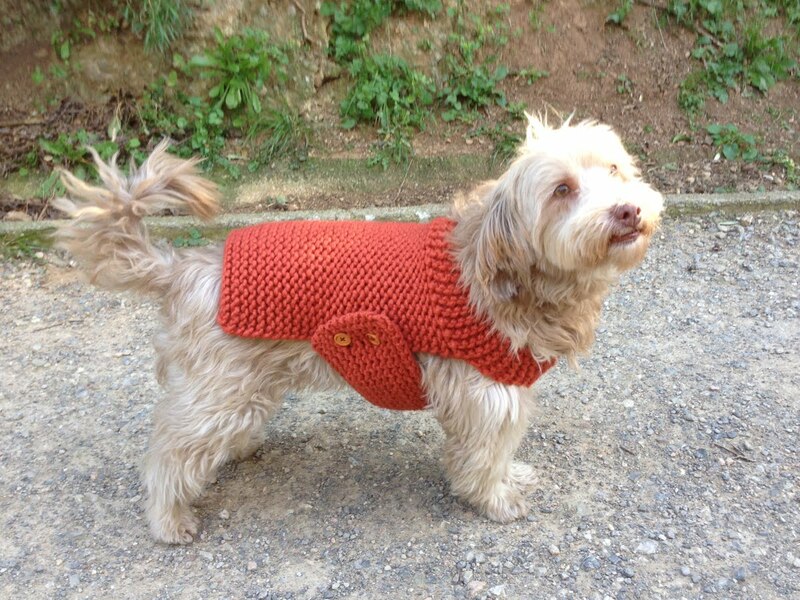 Just remember, you’ll need more yarn if you’re going to make the sweater for a larger dog). You’ll also need 6.5mm circular needles, 4 stitch markers, scissors, a tapestry needle, and (marked as optional) a 6mm or 7mm crochet hook. Stitches include knit, purl, increase, casting on, knitting with holes, knit two together (k2tog), and ribbing. This should work up very quickly, especially if you are familiar and/or comfortable working with circular needles. I confess I haven’t used them as much as I should, but there are usually some friendly knitters online (YouTube, for example), or at the local fiber shop if you run into a problem. I’d recommend this pattern for a beginner intermediate knitter, someone who has used circulars before but wants to try making something a little challenging. 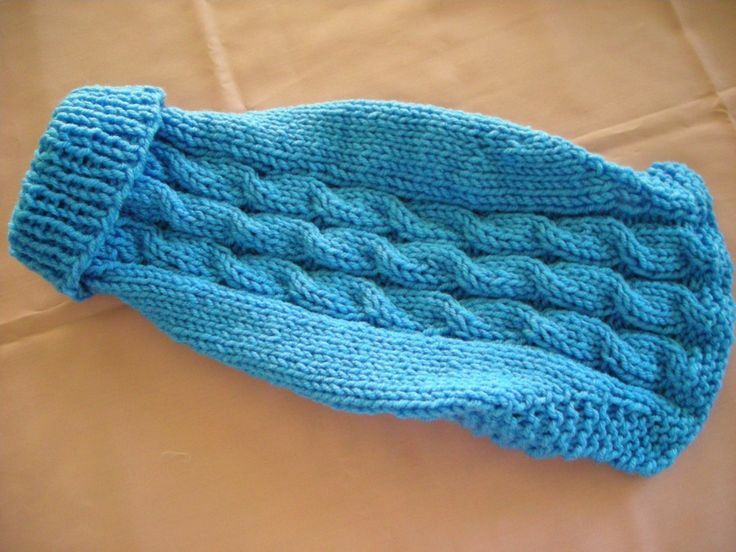 If you like this pattern and want more, you can find the author at Alice in Knittingland. You can also find her on social media and other craft sites, including Facebook, Twitter, Instagram, and Etsy. I originally found the pattern on the Love Knitting Blog, so if you peruse their site and decide you like it, you can join their community and share your photos in the comments of the original post (I don’t know anybody who doesn’t like seeing pictures of cute animals in sweaters!). 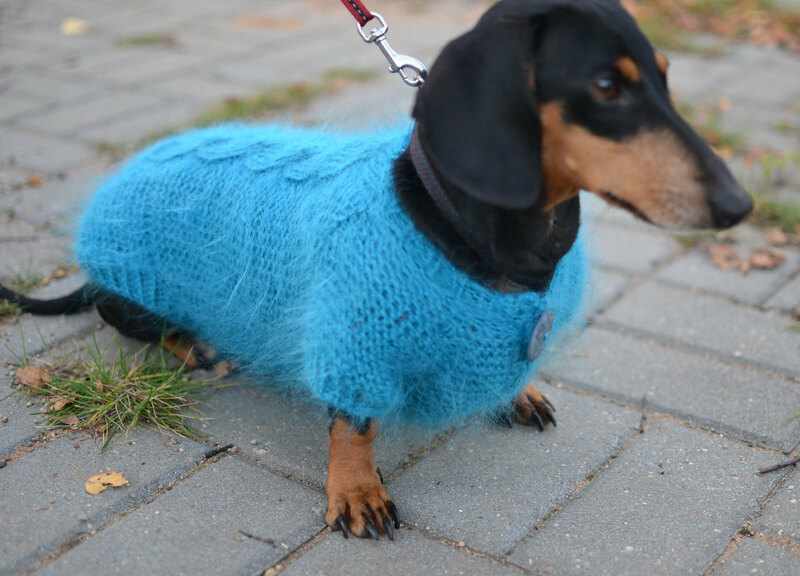 Keep your furbabies warm in winter with this stylish sweater. They’ll want to show it off to all their friends when you go for a walk.